Here at Ron’s Auto & RV, we know the brake system in your vehicle is intricate, complex, and extremely important. It is comprised of many parts and operates using a hydraulic system on all four wheels. Systems are either a disc system or drum system. Drum systems have been around since automobiles were invented, however disc systems are now more popular and are standard on newer vehicles. Often times, vehicles have a drum system on the rear wheels and a disc system on the front wheels. 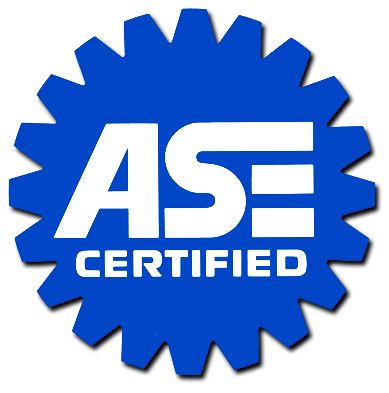 You should always have your vehicle’s system inspected during routine maintenance service as replacement depends on a variety of factors. If your car needs new brakes, come on into Ron’s Auto & RV! We provided fully-warrantied repairs and same-day service on most jobs. Pads can be found in disc systems. Replacing brake pads is the most common repair and replacement service. When brakes are properly maintained, replacing the pad is a simple and relatively inexpensive service. When the pads become severely worn and are not replaced, this can begin to cause significant damage to your brake system and make driving dangerous. Disc brake systems provide improved performance over drum brake systems and are now more common although the latter has been around longer. Disc brake systems also fair better in wet weather conditions. Brake shoes are found in drum brake systems and operate similarly to brake pads. One main difference between brake pads and brake shoes is that brake shoes can be refurbished to be used again. Once brake pads are worn, they need to be replaced with new pads. Furthermore, drum brake system replacement is commonly significantly cheaper than disc brake system replacement as they are less expensive to manufacture. In a disc brake system, brake pads are attached to brake rotors. When brake pads become severely worn, the rotors are left bare and can become damaged. 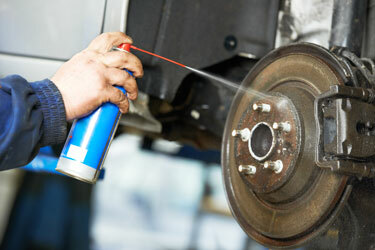 Replacing rotors can be costly, making regular brake inspections and maintenance worthwhile. In a drum brake system, brake drums operate similarly to brake rotors. Warning signs that brake drums need to be replaced include hand brake not working, shaking from rear end of vehicle when braking, and pulling of vehicle either left or right when braking. The master cylinder in your disc brake system sends fluid to the calipers that enable the brake pads to slow your vehicle. There are two main types of brake calipers which are floating and fixed. Floating calipers are less expensive than fixed, however are not known to perform as well and can become compromised easily from dirt and contaminants. They move in and out to create friction with the rotors to slow the vehicle. Fixed calipers do not move and are generally preferred over floating calipers. Like the rest of the brake system, regular wear can cause the need for repairs. When calipers are compromised they can decrease fuel efficiency and generate excessive heat in the brake system. In drum brake systems, wheel cylinders have two pistons, and its purpose is to provide energy to the brake shoes to slow the vehicle. Wheel cylinders are known to leak with normal wear over time and should be promptly replaced should this occur. Replacing wheel cylinders is a relatively inexpensive brake repair service and is typically done every 5-7 years. 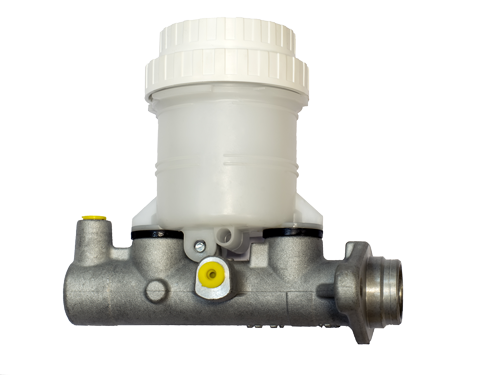 The master cylinder is responsible for producing the hydraulic pressure needed to operate a disc brake system. The most common warning sign that your master cylinder needs to be replaced is the brake goes straight to the floor of the vehicle when you press your foot on it. Another common sign of trouble is the illumination of your vehicle’s check engine light. If you suspect an issue with your master cylinder, do not drive your vehicle and have your brake system inspected immediately. Brake fluid in the master cylinder should be replaced roughly every 25,000 miles. Watch the brake pedal- if it does not move the booster is compromised and should be inspected by a professional. Brake hoses are responsible for delivering the brake fluid from the master cylinder to the rest of the brake system. Normal wear can cause leaks in brake hoses, and these are commonly replaced every 5-7 years. Signs that your brake hose is compromised include low brake fluid, wet spots on parking areas, and difficulties when braking specifically pulling from either left or right. Ron’s Auto and RV Service Center is your one stop auto and RV brake repair shop. Our family owned business is dedicated to safety and uncompromising customer services. Please call or come in today for your complimentary brake inspection or to set up an repair appointment. We appreciate your business.